SOFIA, February 4. /TASS/. The Bulgarian authorities plan to start selecting a strategic investor for the construction of the Belene nuclear power plant before the end of February, Energy Minister Temenuzhka Petkova said in an interview with the national radio on Sunday. "At present, our experts are drafting an invitation for the first stage of choosing a strategic investor. This invitation will be published in an official publication of the EU and in two Bulgarian newspapers. I hope the selection will start before the end of February. It will be as public and transparent as possible and will give an opportunity to all interested parties to take part in it. If the procedure is successful, it will mean that the project is economically viable, and the construction of the plant will give guarantees of energy security not only for Bulgaria, but for the entire region," she said. Bulgaria wants to build the Belene nuclear power plant for 9 bln euros over 8 years. Strategic investors were given several mandatory conditions, in particular, to maximize the use of the equipment, which was already delivered to Bulgaria and to continue working in accordance with the previously approved project. However, the maximum cost of the plant’s construction is 10 billion euros, and the terms of its commissioning should not exceed 10 years. The main requirements that should be met to continue the construction include building the plant under market conditions, without state guarantees and without guarantees of the acquisition of electricity produced by the NPP. Initially it was planned that the Belene NPP with a capacity of 2 GW would be built with the participation of Russia. Atomstroyexport (part of Russian nuclear corporation Rosatom) won an international tender for the construction of two nuclear power units in 2006. The Bulgarian government invested about 3 billion levs (about 1.5 billion euros) in the project. 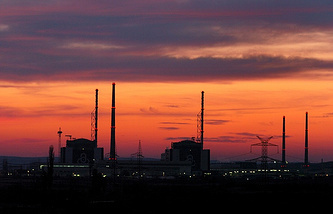 Equipment for the two reactors of the plant was delivered to the Belene site. The project was halted in 2009, and in March 2012, Sofia refused to build the plant. The government of Bulgaria headed by Prime Minister Boyko Borisov announced the termination of the project. On May 12, 2018, Borisov announced that the country intends to resume the construction of the Belene NPP. The Bulgarian side stressed that if a decision is made to implement the project, the strategic investor for it will be chosen by holding a tender. Sofia does not intend to provide official guarantees for the project and invest additional budget funds in it, while legally retaining the right to block decisions among shareholders.